I love my acupuncturist. I started seeing her at least 5 years ago to help recover from an emergency surgery and then to help me get and stay pregnant. I’ve continued to go at least twice a month to keep things in balance. 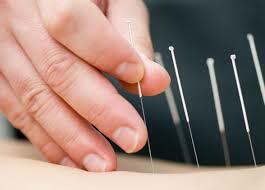 I had gestational diabetes and I noticed that my blood sugars were much lower on the days I had acupuncture. I hope you get great results! Thanks! I may end up finding another person to go to, closer to home and affiliated with the local hospital — but really hoping to clear up my piriformis problem with the next couple of visits to my current one! Glad to hear a success story!! !